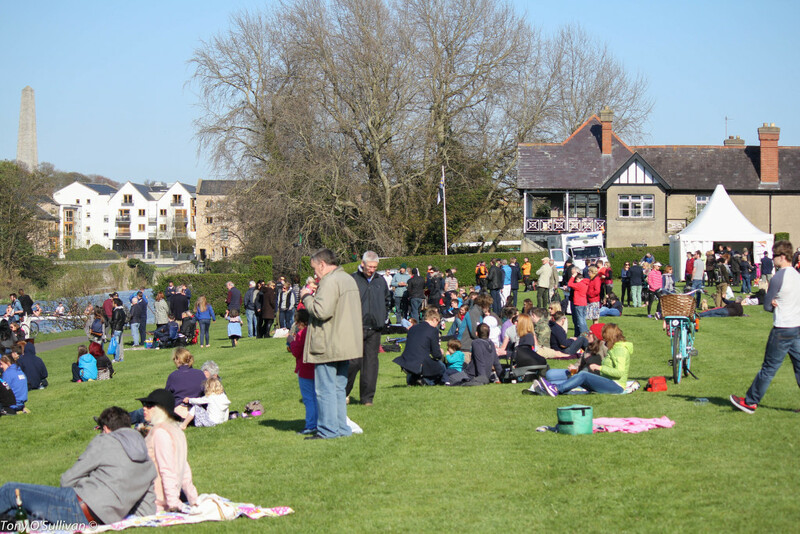 With good weather came great food, entertainment and racing at last weekend’s annual Trinity Regatta. Throngs of spectators lined the towpath in Islandbridge (whereas others favoured the club bar!) to watch the tight racing over the winding 1800m course. 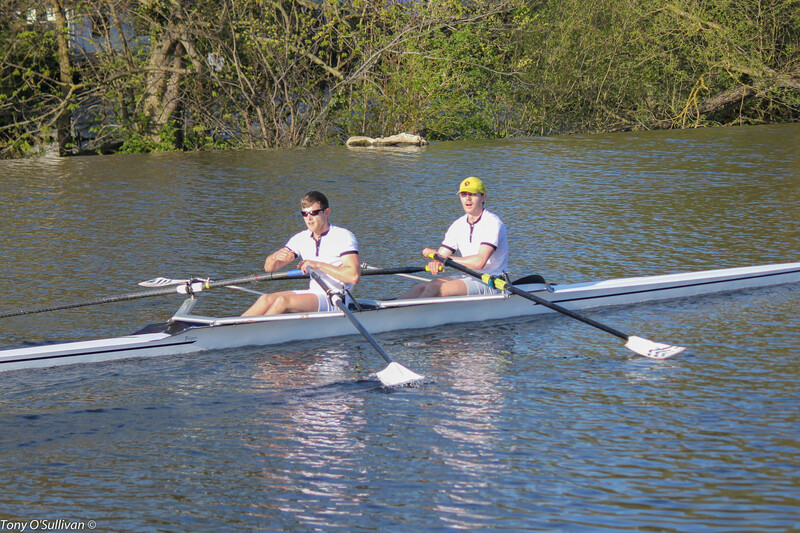 The Senior squad had an eclectic mix of entries including scullers, a double, numerous experimental Fours as well as the Intermediate and Senior Eights. 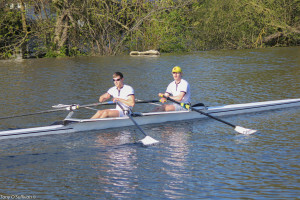 Although certain misfortunes struck in the a couple of the races, including one of the Fours steering breaking before the first bend, it was a successful day overall. Lack of entries in the Senior Eights category meant that the priority boat for the regatta was the Intermediate Eight who would be racing Reading Bluecoat School from England in their Semi-Final. After cruising to a 3L win over the very tidy schoolboys, this set up a mouth-watering fixture against the UCD Senior Eight later in the afternoon! 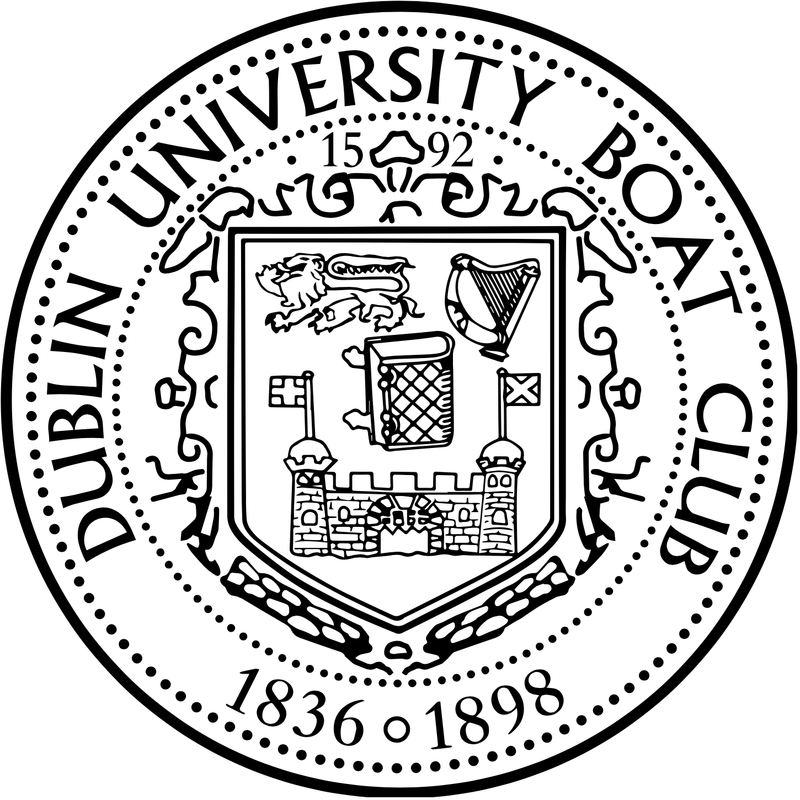 There was an air of confidence around the Enclosures as the Intermediate Eight took to the water, having just seen the Trinty Ladies’ storm to victory as well as seeing the Intermediate Coxed Four come perilously close to beating UCD’s top Four. Sadly, however, it was not to be, and despite being level at the 1100 meter mark, UCD (racing on the north station) made their move on the final bend and pulled away in the final 500 meters. Although disappointed, the Intermediate Eight can be proud of a gutsy race and we can all be shore that they will have another shot at our collegiate rivals later in the season! The Novice Eight showed a huge improvement since their disappointment at the University Championships. 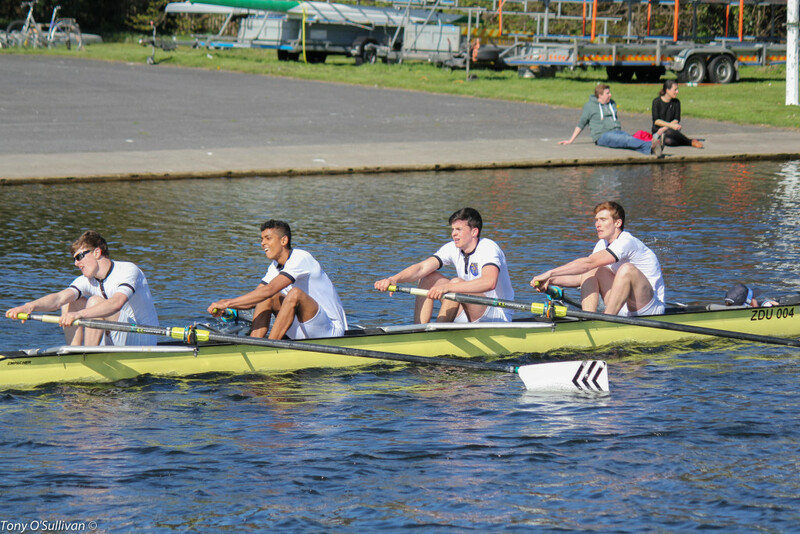 After a dominant performance in the opening round against UCD, they took to the water to face Queen’s University Belfast, a tidy crew with the title of University Champions under their belts. 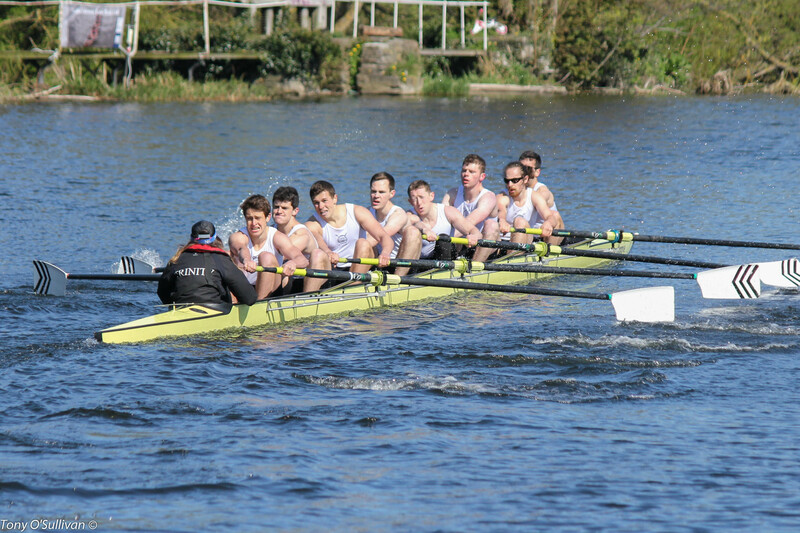 Queen’s, who had put over a length on DUBC just two weeks prior, had a length at halfway but the lads kept their cool and dug deep- slowly they began to reel in their opposition and the margin was just half a length with 250 to go. Queen’s were holding on for dear life with DUBC taking seats with every stroke. The fairy-tale race was not to be however, with Queen’s just holding on by a canvas in the end. 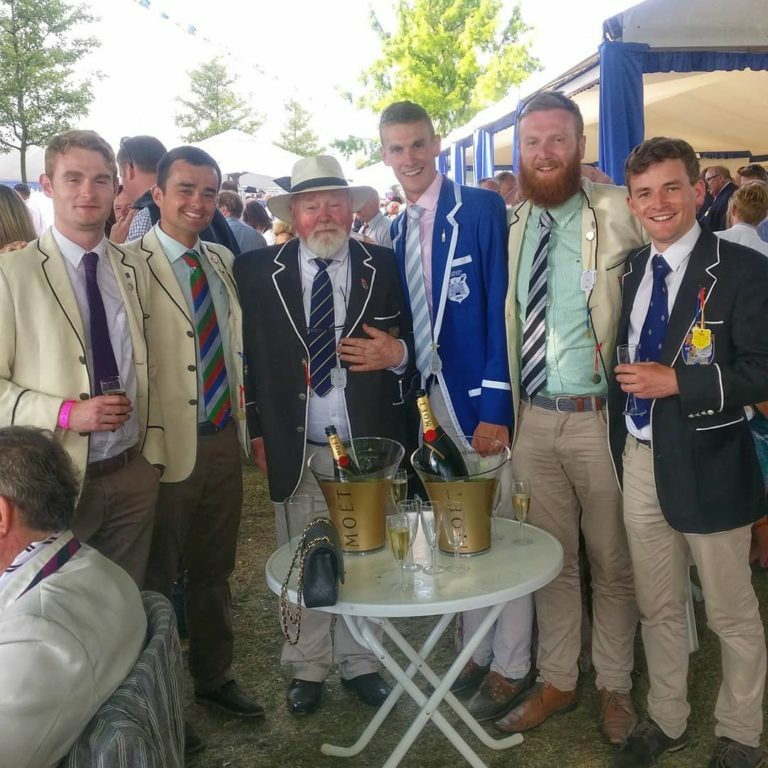 With such a huge improvement in just 2 weeks, this makes for an even more intriguing encounter at the University Boat Races in Belfast in June. The Novice Eight, just pipped by Queen’s University Belfast! As racing moved on into the late evening, DUBC’s Ian Hurley and David Butler picked up the trophy for Men’s Senior Double following a formidable display against Belfast Boat Club. All in the enclosures began to amass on the towpath for the final spectacle of the day- Men’s Senior Eights. 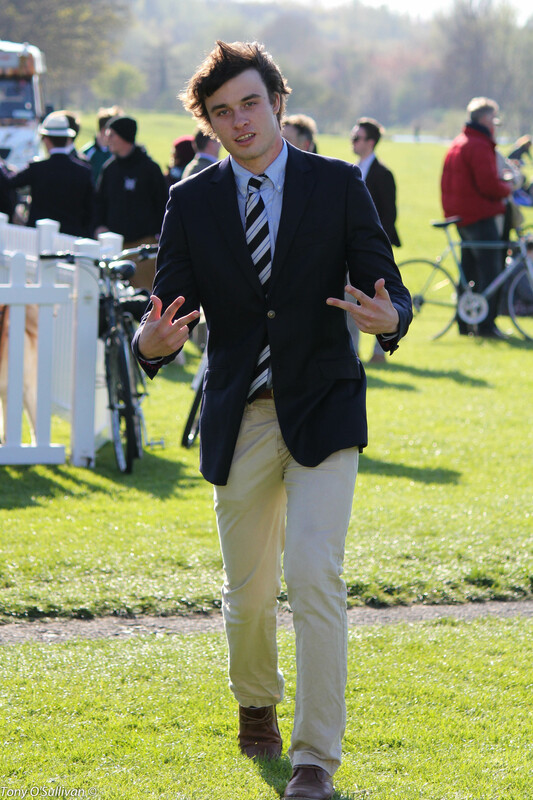 Coach Nick Dunlop decided, since it was an all-Trinity affair, to race only the start and final 500 due the Intermediate Eights tough racing throughout the day. 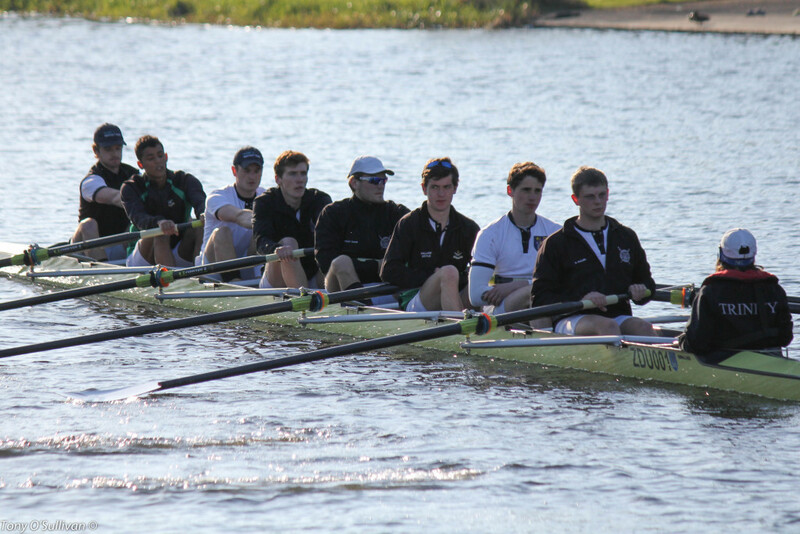 The “Start and 20” saw DUBC A pull a ahead to a 3/4 length lead before both crews settled to a paddle. It seems however, that the race marshals had not been informed of the coaches plan and the spectators gasped at hearing over the tannoy that the Intermediate Eight were a length up on the Senior Eight! As the crews drew closer to the final 500m mark, the Intermediate Eight were given a 3/4 length lead before both crews shot off the blocks, sprinting down the final strech at 40 strokes per minute. In the end, DUBC A finished 1 1/4 lengths up on their counterparts in what was a thrilling watch for the spectators. Now, the squads go back into a “Winter Training” regime in order facilitate study and exams- Small Boats and long ergometer sessions await as the squad hope to push on yet again coming into regatta season. Sincerest thanks to all those who supported the regatta and those who worked tirelessly behind the scenes to ensure an excellent day was had by all!